A major search is under way for a man who went missing after a night out in Somerset. 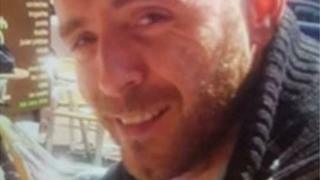 Dean Tate, 40, was last seen in the Somerset and Dorset pub in Burnham-on-Sea on Friday night. Avon and Somerset Police said officers were "increasingly concerned" for Mr Tate's welfare. The force said a "significant amount of resources, including the police helicopter and dogs" were being used in the search, which went on all weekend. Avon and Somerset Search and Rescue, HM Coastguard, the RNLI, Avon Fire and Rescue, along with Devon and Cornwall Police are also involved in the operation. Det Sgt Grant Boyd said Mr Tate's disappearance was "out of character" and added: "We continue to need the public's help though and are now asking people in the area to check their sheds and garages in case Dean has sought shelter there. "We're also keen for motorists who may have driven through the Burnham-on-Sea and Highbridge areas between 10pm on Friday and [Sunday] morning to review their footage for signs of Dean." Police said Mr Tate is 5ft 8ins tall, of medium build, with short dark brown hair and brown eyes. He was last seen wearing a black, short-sleeved t-shirt with badges on the arms, black jeans and black Nike trainers. He also wore a heavy, brown, leather Superdry jacket.